What a week of nerd rage. The good folks at SDCC announced that the badge system was going to be essentially a lottery and Gen Con had some hotel booking issues that left people high and dry. If you followed the action on social media it seemed like the world was ending and that blood will be shed in some hallowed halls. Once the dust settles I think we will all be fine and fortunately there are some great comics this week to distract us from the drama. On to the books! Serenity: Leaves on the Wind #1 - I am going to preface this by declaring I am not a huge Firefly fan (waits for the nerd rage to commence). I did enjoy the TV series and the movie, but still remained surprised the level of fandom that exists for this complex world that Master Whedon has created. I do revisit the series from time to time and am a fan and think its great, but not to the extent of most con goers (my brother included). 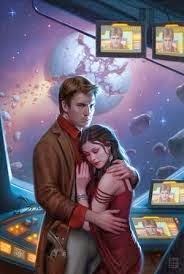 When I heard that Dark Horse was publishing a new Firefly comic I hoped that they would be as good as the new Star Wars comics and am pleased to report it is. Now Joss is a pretty busy guy so who better to entrust such a beloved title to than your little brother who has worked on other Whedon properties in the past. So what are we left with here. The action picks up after the conclusion of the movie (sorry Wash fans) and both sides are actively seeking out Mal and his crew. The Alliance seeks to silence them and stop them at all costs, while the rebellion seeks to use the momentum of Serenity's last broadcast as a catalyst for change. Zach does a great job maintaining the feel for the original series and the artwork will put you back on your couch circa 2002 watching Fox (I mean this in a good way). This title feels very true to the original and like a natural continuation of a series that ended before it should have. I hope Whedon and Dark Horse can maintain this trajectory. 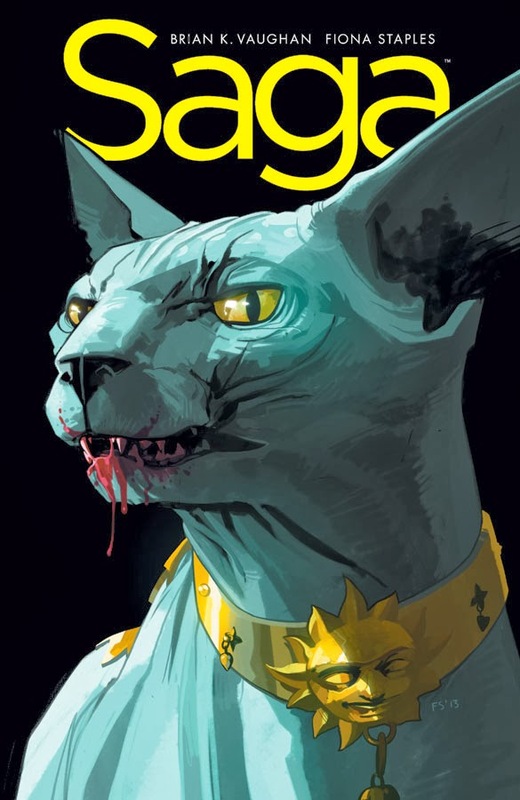 Saga #19 - Saga continues to impress me with each and every astounding issue. The thought that Brain K. Vaughan put into each character is simply amazing. One of the things I love about this book is, despite the fact that it is narrated by Hazel, I find myself worried that something is going to happen to her. In addition to that, Vaughan makes me care for characters that on the surface seem one dimensional, but as the story develops end up being very complex beings. I am still very worried about Marko and Alana, but I am happy to report that a malfunctioning Prince Robot IV is quite entertaining and who knew how amazing Izabel would turn out to be! I have a feeling there is way more to her then we are getting right now. If you aren't reading Saga then I feel sad for you and you should stop reading this and pick it up. It doesn't get much better than this. City: The Mind in the Machine #1 - In the not so distant future San Francisco has been outfitted with thousands of cameras in an attempt to thwart terrorism activity. The issue lies in how to monitor so much activity. The answer, Golden Shield. The Golden Shield is an artificial intelligence that monitors all of the cameras and has the ability to manipulate traffic lights and take control of police cars to get where they're needed. What can go wrong? Quite a bit and we are left with a story of an ambitious programmer who desperately needs Golden Shield to be successful. I don't want to spoil how things turn out in issue one, but an opening that left a lot to be desired delivered a setup that was quite satisfying. Fischer, the man behind Golden Shield, undergoes quite the impressive transformation in this issue and finds himself even deeper in his code then he ever imagined. I need to keep my eye on this one. Fables #137 - Winter, one of Bigby and Snow's cubs, learns that being the wind of the north is as much of a curse as it is a blessing. While it is amazing to be everywhere at once, you are constantly breaking the rules and are privy to that which you should not see. We get a new perspective on Rose and her roundtable and the magic that is gathering around her. While from Rose's viewpoint it is good and powerful, but Winter notes that it may be beyond her ability to control it. Winter decides to amass an army of those powerful beings she now controls (Santa!) in preparation of a war between her mom and her aunt. 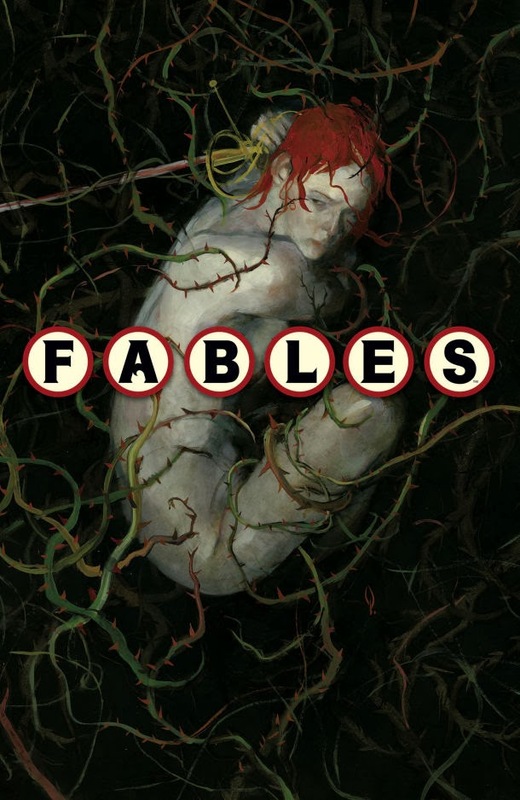 Add in some intrigue about what has truly happened to Bigby and Fables continues to please. POSTED BY: Mike N.-- comic guy, proudly raising nerdy kids, and Nerds of a Feather contributor since 2012.